I have always loved exploring the world looking for textures and shapes. 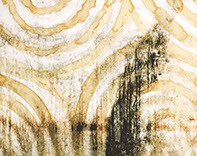 With my artwork I try to incorporate those natural textures and shapes into my artwork, enhancing them and increasing their luminosity and color. 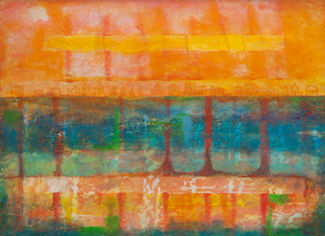 mixed media encaustic on wood – 44"x30"x2" – $1200. 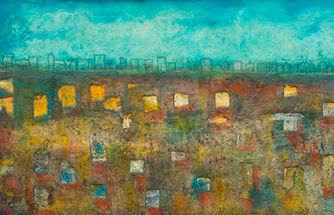 mixed media encaustic on wood – 30"x23" - $800. "This must be living in the city," thought the little house. 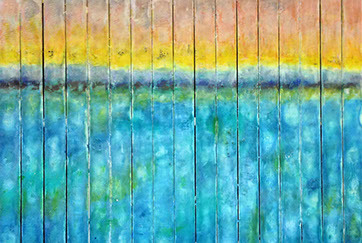 mixed media encaustic on wooden slats – 38"x24" - $2000. 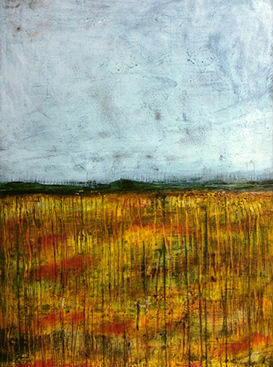 Mixed media encaustic on wood – 12"x12" - $300. 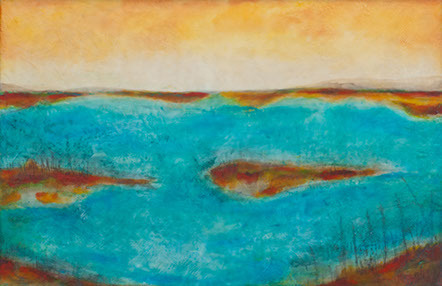 Mixed media encaustic on wood – 22"x30" - $900. 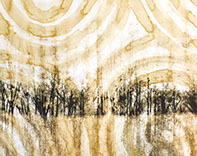 Mixed media can include: bees wax, damar (tree sap), dry pigments, water colors, oil paints, india ink, charcoal, chalk, shellac, spray paint, powdered graphite, tissue paper, transfers, etc. 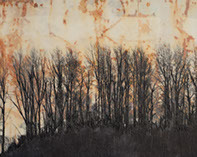 Photo-encaustic means the base image of the piece is a printed photograph on archival paper (watercolor, printmaking, etc.) using archival inks. 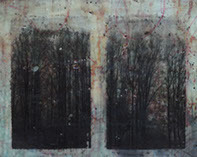 I then use mixed media to finish the piece.